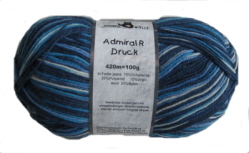 The ever-popular Admiral yarn from Schoppelwolle. 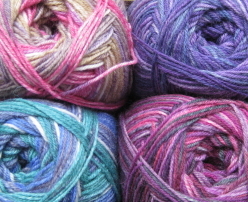 Admiral is a 4ply self-patterning yarn in an exciting range of colours and designs. 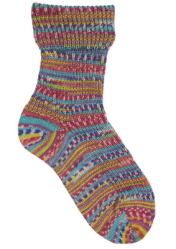 Treat your feet with this delicious sock yarn from Austermann. This self-patterning 4ply sock yarn comes in a gorgeous range of colours and is infused with Aloe Vera and Jojoba Oil when spun to give a beautifully soft yarn that is lovely to knit. The Aloe Vera and Jojoba Oil will last for approximately 40 machine washes. 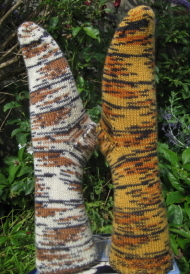 New from Hjertegarn - fun sock yarns in Safari, Snake and Camouflage patterns. 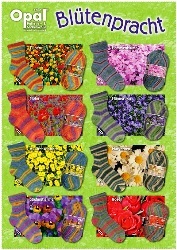 Great for socks and soft enough for baby garments. This is an absolutely gorgeous yarn - soft to touch and in beautifully graded colourways. 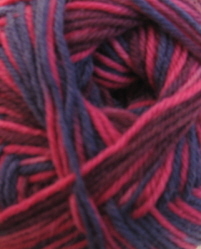 This fabulous yarn from Lang - vibrant colours in a striped degrade effect and it's wonderfully soft! 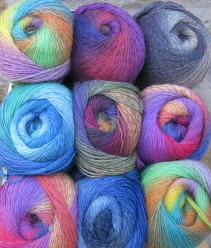 Beautiful sock yarn from Hjertegarn -light twist, slightly fluffy, random striping in 12 delicious colour combinations, Suitable for socks and shawls. 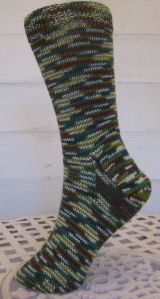 Introducing Marathon, a 4ply sock yarn from German company BellaLana. 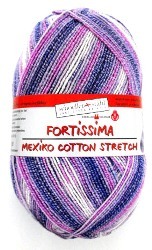 This hardwearing sock yarn is 75% superwash wool and 25% polyamide and comes in 50g balls. You will need 2 balls for a pair of adult socks. 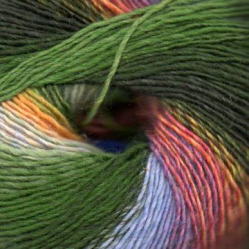 Beautiful pure merino 4 ply wool with exciting colour combinations and gradual colour transitions. 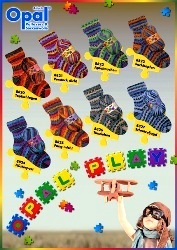 Ideal for babywear as well as scarves, shawls and mitts for adults. The clever folks at Viridian have persuaded Opal to re-release some of the most popular shades from previous ranges. These self-patterning sock yarns are 75% virgin wool/25% polyamide and perfect for socks, mitts and baby clothes. 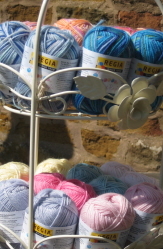 My First Regia is a beautifully soft, machine washable, 4 ply yarn - perfect for babies. 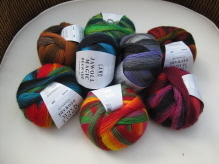 Made in Germany by Schoppelwolle, Zauberball is a 4ply yarn that knits into wonderful shaded band of colour. 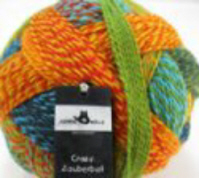 Made by Schoppelwolle, Crazy Zauberball is a 2-strand twist that gives a fabulous colour-mixing effect. 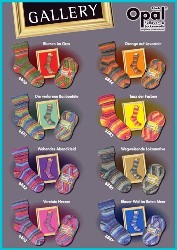 Each pair of socks is unique!